You spend a considerable amount of time and effort ensuring that your VIP and Sponsor guests have an amazing experience at your event. However, their experience, and the bigger issue of whether they will even choose to attend, starts long before they step foot on-site at an event. Your invitation email presents the first opportunity to create interest in your sponsorship event and ensure better attendance. The invitation is the first positive impression recipients will have of your sponsorship event. Its purpose is not to simply generate a yes or no response, it has to entice the recipients to click through to the event website and convert them from invitees to guests. Subject – The subject is the first thing recipients see and it is what triggers them to open the email or not. It’s important to connect with your recipients through personalization. Consider using a mail-merge to include the recipient’s name or company in the subject. Preview – Most email programs offer a preview showing the first several lines of the email’s text. This is the recipient’s second opportunity to decide to open or delete. Make sure to re-check the preview to avoid damaging or embarrassing truncations. Source – The invitation has a significantly better chance of being received and opened when it comes from a known email address. GuestFirst always sends emails from a client email address, but it’s even better to send from a source that’s particularly familiar to the recipient, such as their contact person with your company. Layout – Spend the time to create a well organized layout that is consistent with your brand style and colors. Since more and more recipients will be opening your email on a mobile device, make sure that your layout is appealing on all mobile mail reader programs. Sports Systems tests all invitation emails to ensure appearance and compatibility across 30 mail programs. Relevancy – Know your audience and talk about what they care about. Personalize your email greeting by using the recipient’s name, and personalize further in the body of the email. Urgency – It is critical that recipients understand the urgency of your invitation so that they don’t procrastinate in responding. Use exclusivity and scarcity as your helpers. Engaging – Draw the reader in, and show them the value of what you are offering. Use a more conversational tone to avoid sounding like you are lecturing to the recipient. Length – Less is usually better. Write clearly and in a way that’s easy to read. Assume your reader is impatient and has a short attention span. Keep your message short and get to your call to action as quickly as possible. Call to Action – Make your call to action strong, visible and easy to engage with. Ensure sufficient space for a finger click from mobile devices, and that the button/link goes directly to the event website without asking for the user’s email address or an event code. Do not use full-word capitalization anywhere, especially in subject lines. Ensure the email is coming from a legitimate email address. Do not use spammy or salesy words in your subject. Avoid overblown phrases such as,: “Once in a lifetime opportunity!”, and words that make your email look more like a sweepstakes than an invitation, including: Congratulations, Deal, Free, Offer, Opportunity, Outstanding, Promo, Promotion, Win, Winner and Reward. Do not use multiple exclamation points!!!!!!!!! Avoid using large images with text overlaid on it. Have just one call to action – spam often has multiple links for recipients to click on. No single email is an island independent of all others. Therefore, each email should be written for the particular phase that you are in, and keeping in mind what you have already told your recipients. For example, if you are in the middle of your campaign, you would know that you’ve already put your event on your recipient’s radar. Now, you want to build their excitement so you would offer new content, speakers, event agendas, etc. Frequency – When and how much? You should determine frequency by the amount of advance notice afforded before the event registration deadline. In terms of how often to send invites and reminders, apply the Goldilocks rule, not too much or too little—just right. The general best practice has the invitation sent 12 weeks before the event (some events, like the Olympics, invite as far as a year ahead), but invitation timing will vary depending on factors such as: total time commitment, seniority of invitees, and likelihood of conflicts. Send a final reminder less than a week before. Ensure that reminders are not sent to invitees who have already responded. Schedule your sponsorship event invitation emails for mid-mornings –when a greater percentage of emails are opened upon receipt. Avoid sending anything important the afternoon before a holiday weekend, or on Friday afternoons. If you send an email when the recipient is busy, the chances increase that the email will be glanced at and the reader will decide to look at it further later, which may never happen. If you follow these best practices, you will significantly increase the likelihood that your invitation emails will be read, and that you will convert more of your audience from invitees to guests. 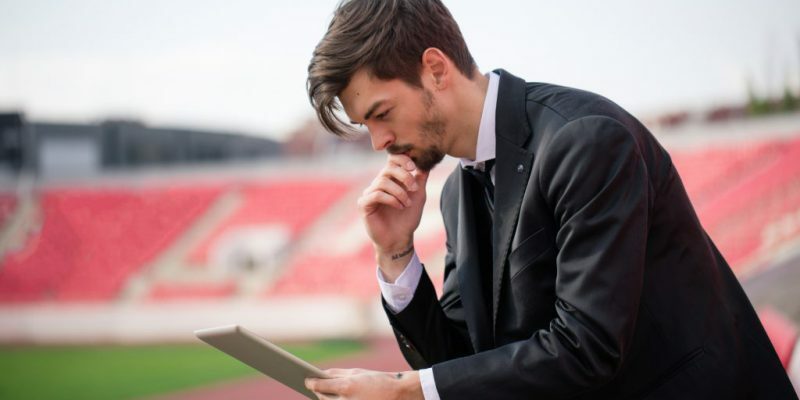 Take a look at how Sports Systems’ can ensure you are following best practices through our simplified software platform.